This event was held on 2019.04.11 (Thu). 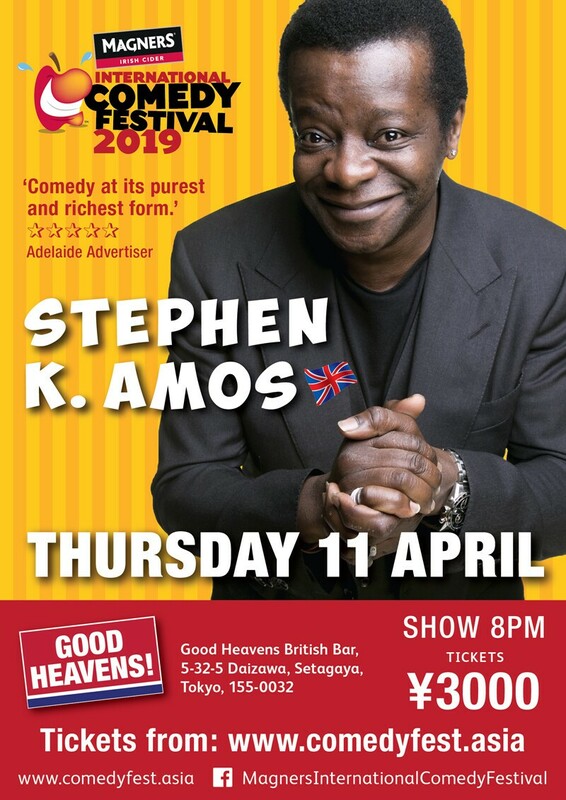 STEPHEN K AMOS, gifted comedian, actor, and writer has charmed and entertained audiences all over the world with his natural, assured delivery and honest, original material. His child-like joy and exuberance has impressed on stage time after time, letting audiences immerse themselves in the warmth of “one of the most likable figures in British Comedy” (Radio Times). 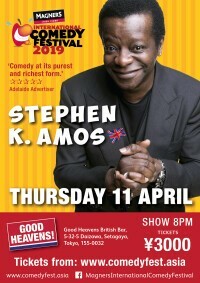 His hilarious wit and charm have led AMOS to become a highly acclaimed comedian on the circuit. Having made his Edinburgh Fringe debut in 2001 and becoming a festival favorite, AMOS has gone on to win the 2004 Time Out Comedy Awards for Best Stand-Up and has been thrice-nominated for the Chortle Award for Best Compere. He has also performed on high-profile TV shows, including QI, Live at The Apollo, Have I Got News For You, and the Royal Variety Performance, along with making his own acclaimed Channel 4 documentary, Batty Man, launching his own show on BBC2, The Stephen K Amos Show, and creating two stand-up DVDs, Find the Funny and The Feel-good Factor. Don’t miss your chance to see this brilliant comedic mind take the Tokyo stage.